One of the most fun things to prepare, ever. Cordon Bleu is usually made with chicken, and sometimes even, with pork but very seldom with fish. But honestly, I feel fish works best. It's usually always tender and juicy and doesn't get dry or tough. 1. Clean the fillet pieces. 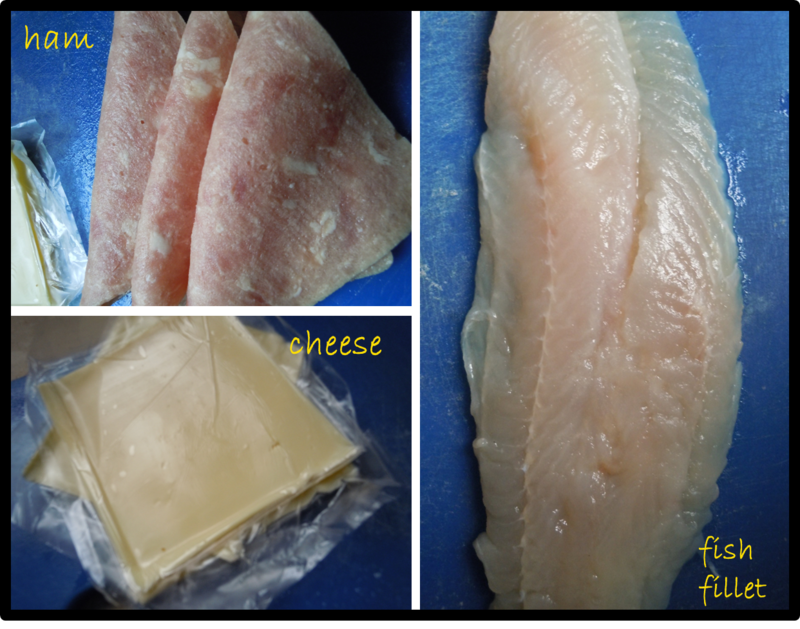 Make sure you choose the good quality fish fillets, as there are different grades in the market. 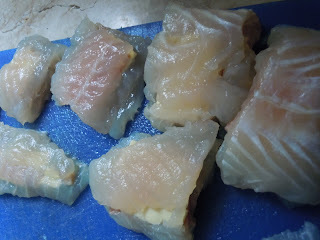 For this, you really need the fish to be firm and not soggy, so it would be easier to stuff. Other types of WHITE fish would be ok, but make sure it is on the "flat" side in terms of taste, and firm and thick in terms of texture. 2. Slice 2-3in squares of the fish. 3. Slice fish in the middle (butterfly style). Cut your ham and cheese as you go along. Stuff each piece with 1 ham and 1 equally sized cheese. Make sure also that once stuffed, you will still be able to cover it completely. 4. Coat each piece with flour, patting off the excess. 5. Dip in eggs. Then in breadcrumbs. 6. Fry in very hot oil until golden brown. If you do not need everything, you can store in the freezer and just pop them out when needed. 7. Serve with the Buerre Blanc. Brief introduction: Buerre Blanc, in French literally translates to white butter. And yes, the real recipe of this calls for whole cold emulsified butter to be blended together with the white wine/vinegar reduction. But I, afraid to clog arteries with this divine liquid heaven, chose not to. But feel free to do so, to make texture extra smooth and creamy. Pop in around 2-3 pcs of 1/2in-cubed cold butter. This special Buerre Blanc sauce is made with one of the world's best kept culinary secret: pineapple juice. Yep, instead of vinegar, try substituting some of your recipes with pineapple juice. It gives the right acidity, the right amount of sweetness and that incredible flavor. 1. Saute shallots until wilted and caramelized. 2. Add white wine while pan is very hot. Reduce by half. 3. Add the stock, heavy cream and pineapple juice. Add salt and pepper, adjust according to taste. 4. 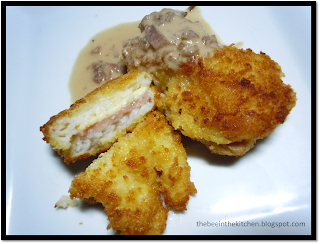 Serve with the fish fillet or with any seafood dish.